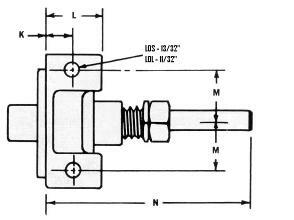 Please contact factory for applications with estimated pressure above 100 PSI. 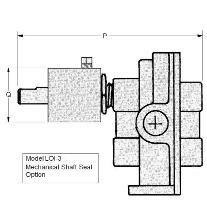 Positive displacement gear pumps have excellent suction lift characteristics and are self priming when wetted. For vertical suction lift should pump run dry between uses, re-’wet’ pump or use foot valve. Pump flow can be varied by varying input speed with pulleys, a gear reducer, or electric motor inverter (VFD). 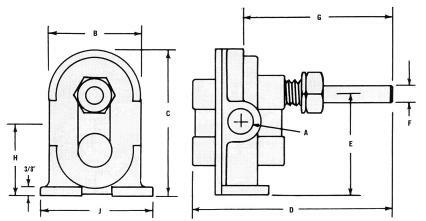 Never side load pump drive shaft, use a jackshaft/bearing arrangement. 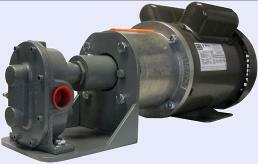 All size pumps operate below 200 RPM for many applications. High viscosity fluids may warrant speeds into single or double digit RPM’s to prevent cavitation and enhance performance. Please contact factory for application specific sizing and performance.